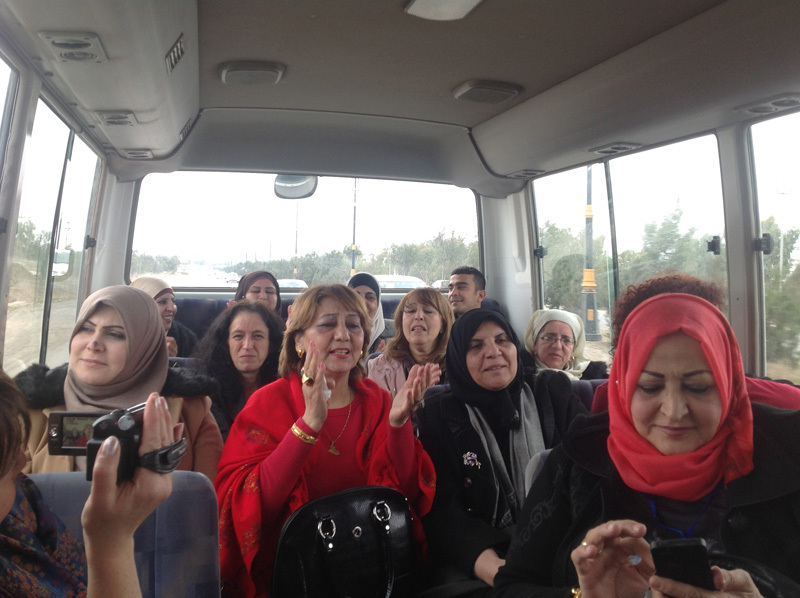 Representatives were due to arrive from Sudan, Mauritania, Jordan, Egypt, Algeria, Turkey, Libya, Syria, Palestine in addition to many Iraqi governorates. 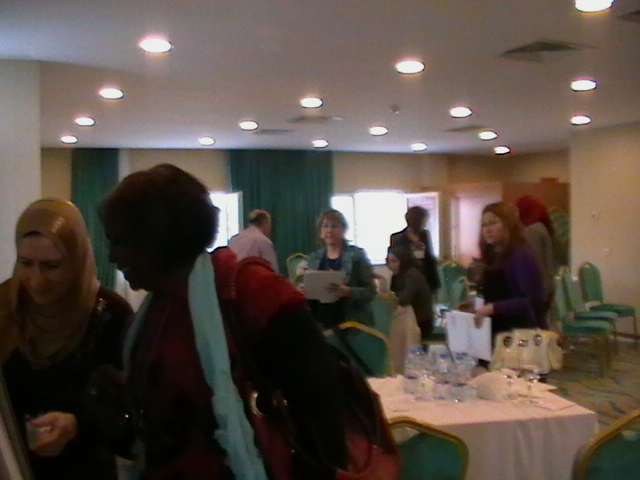 Due to various circumstances: no plane fuel; borders closed etc, not all participants made it. 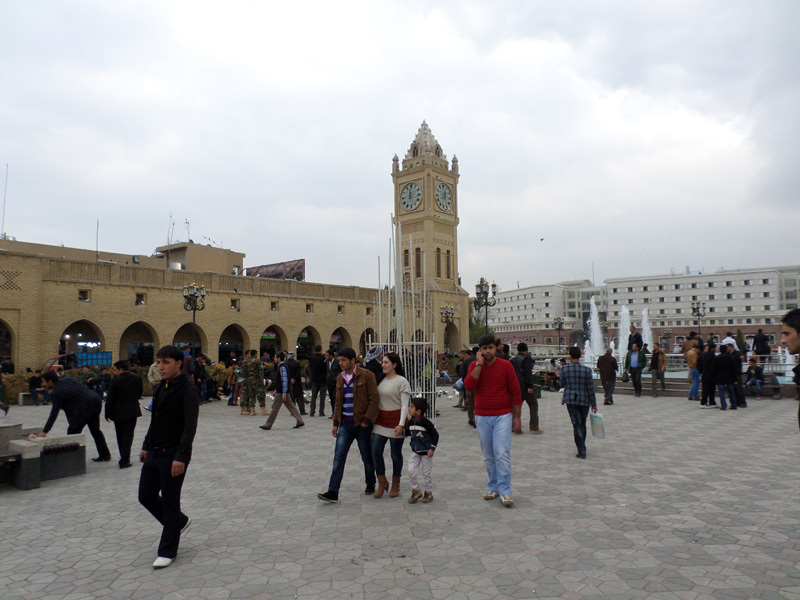 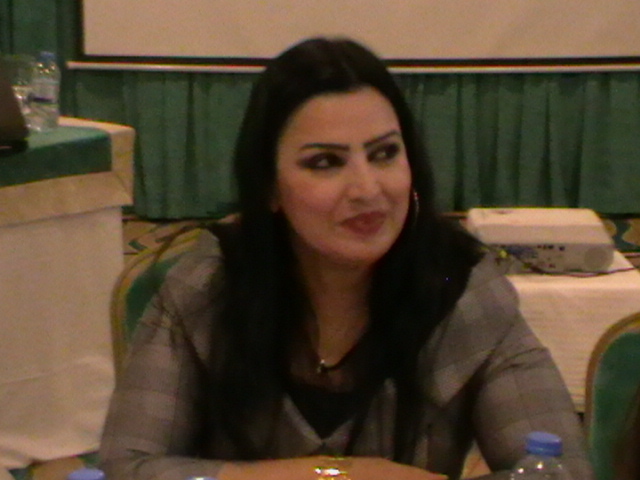 However the following countries and areas of Iraq were represented: Sudan, Jordan, Egypt, Algeria, Turkey, Libya, Syria, Palestine, Diwaniyah, Baghdad, Nijaf, Karbala, Ninevah, Erbil, Sulaimaniyah, Halabja and Mosul. 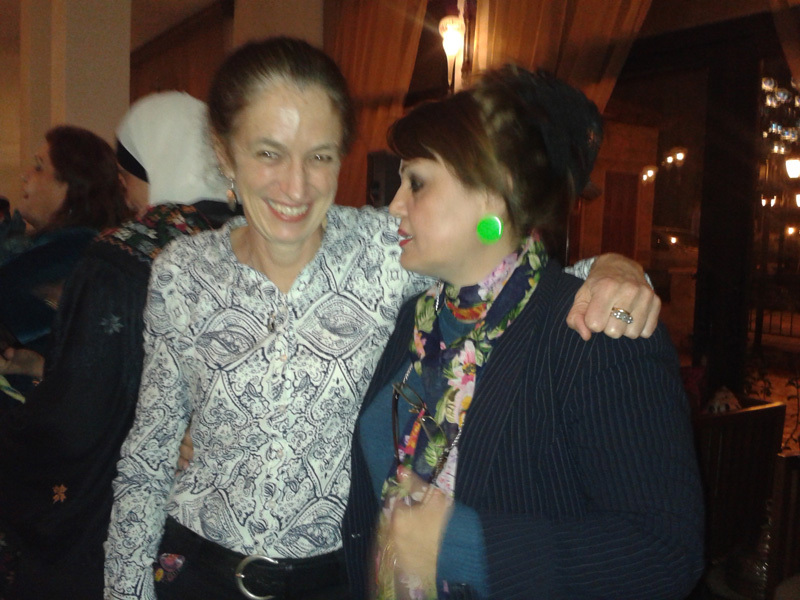 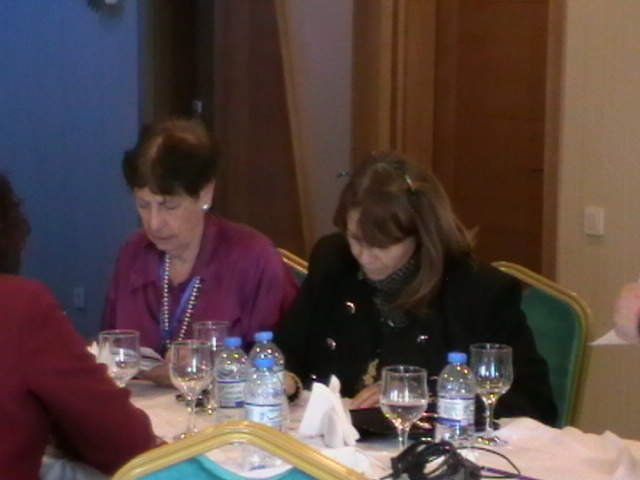 In addition representatives of international agencies were also present. 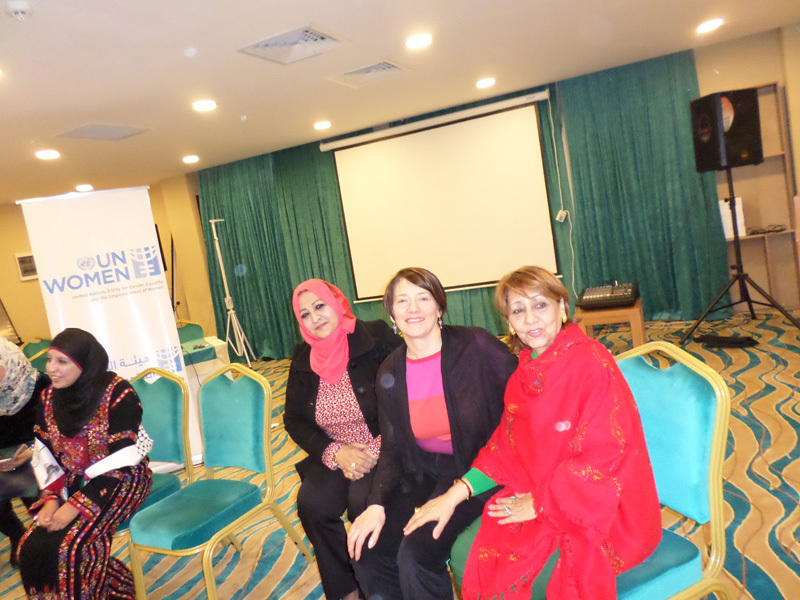 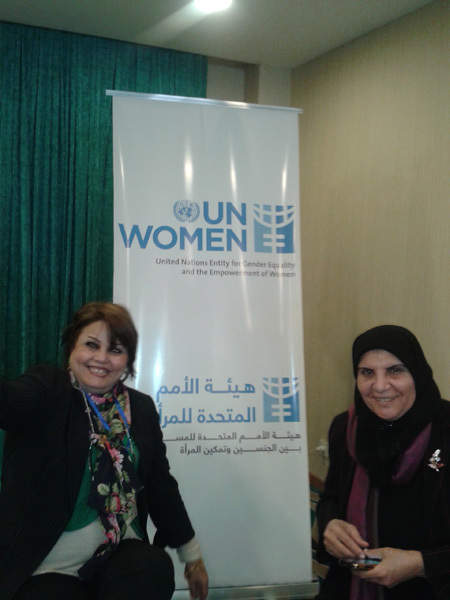 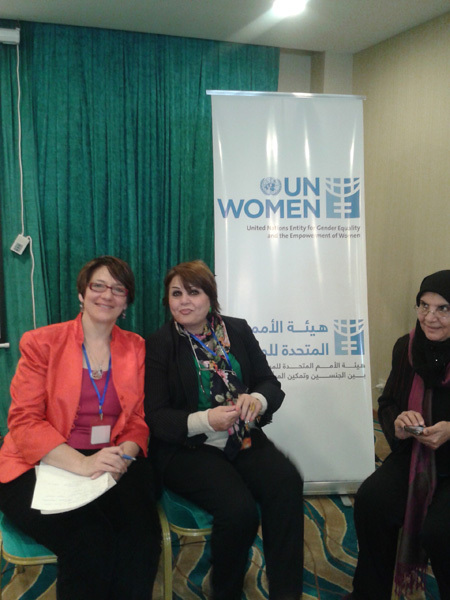 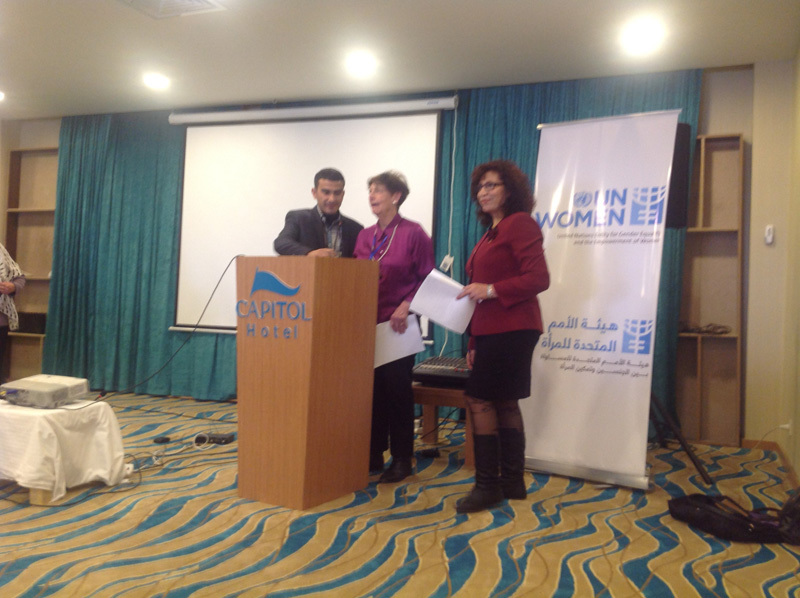 The High Council for Women’s Affairs co-hosted the event with UN Women with the conference being opened by Pakshan Zangana, the Secretary General of the High Council and Frances Guy the representative of UN Women Iraq. 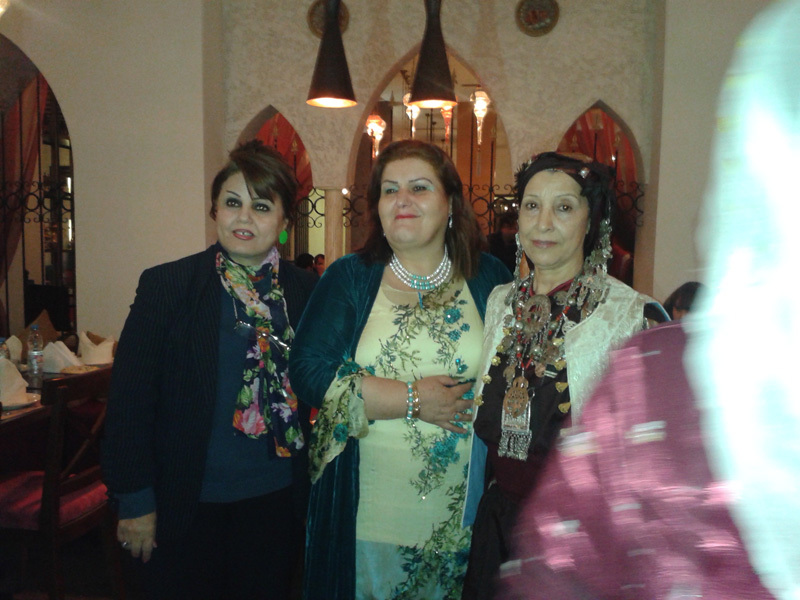 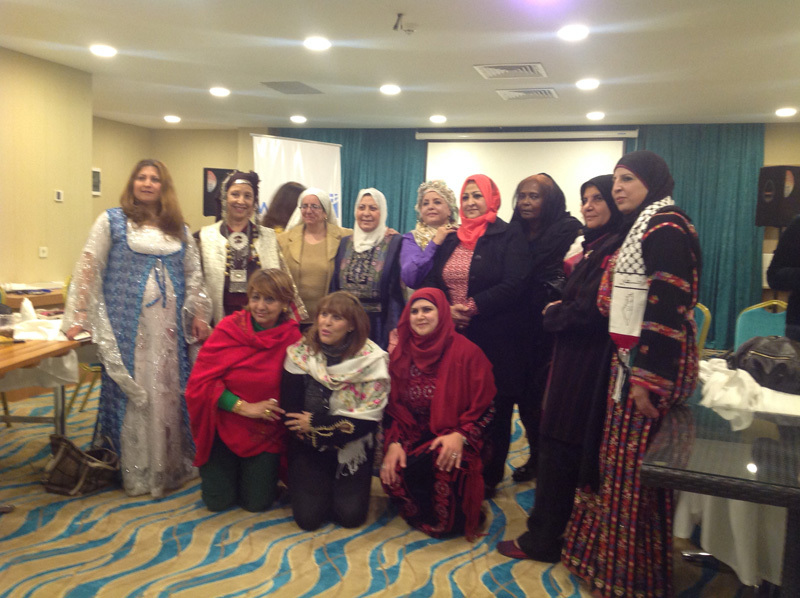 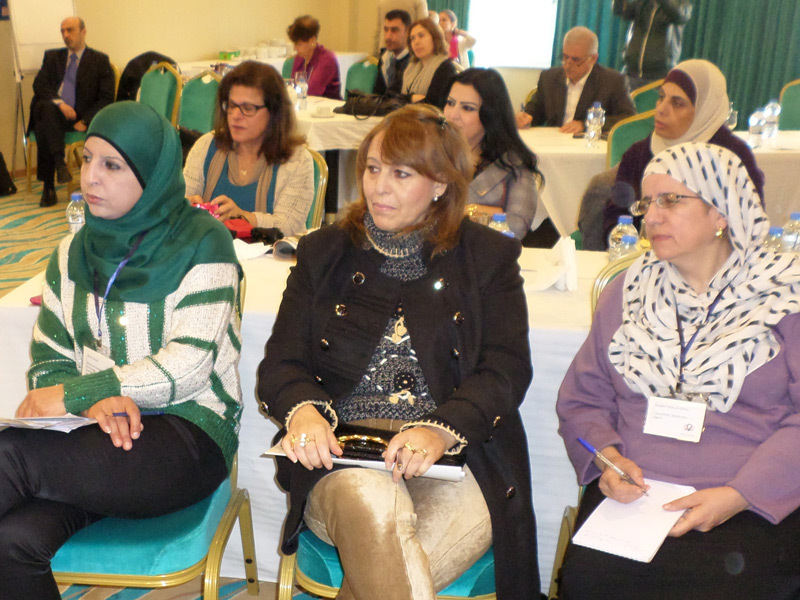 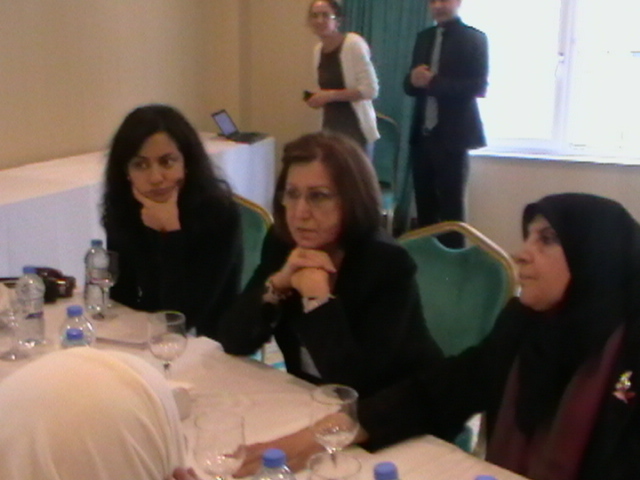 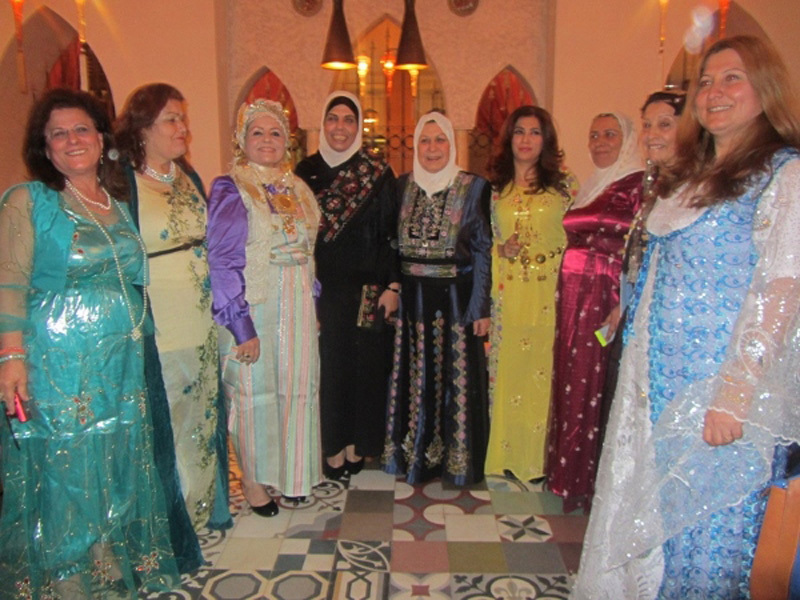 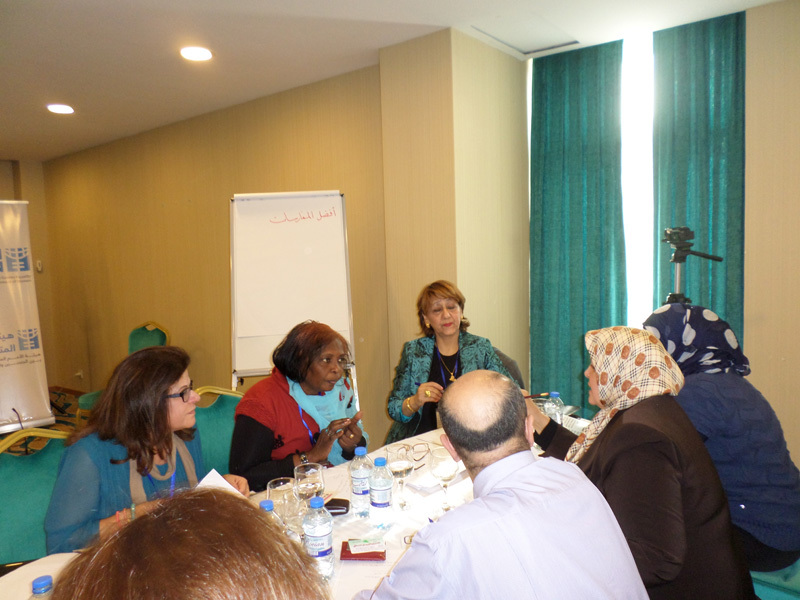 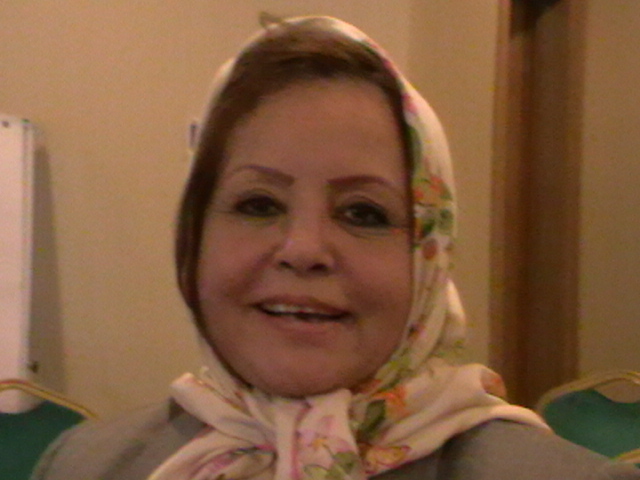 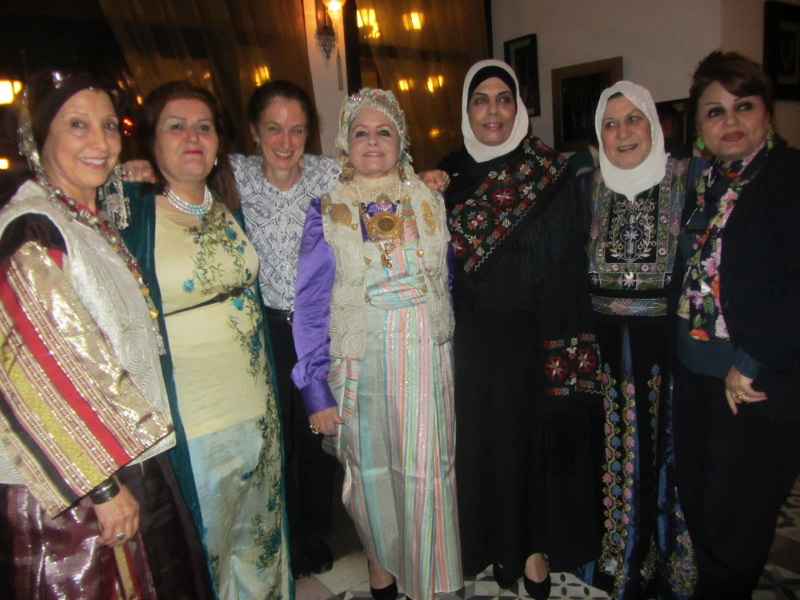 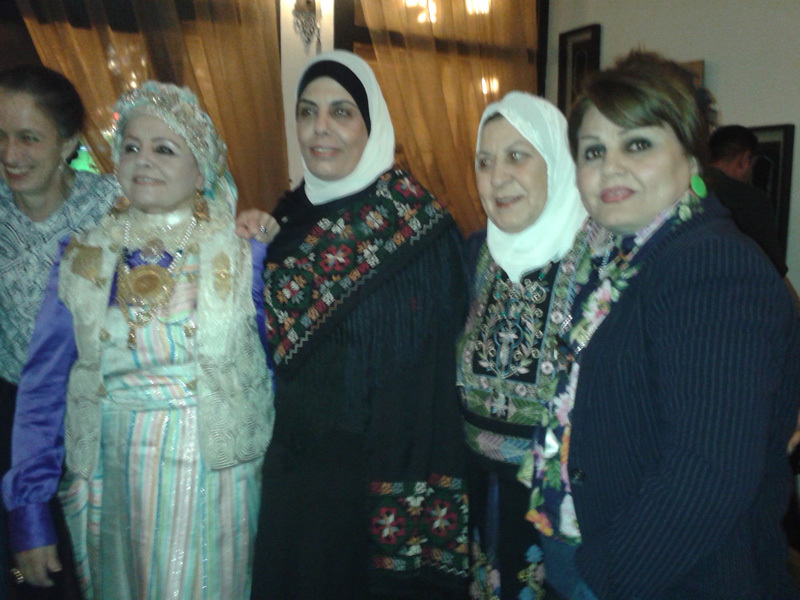 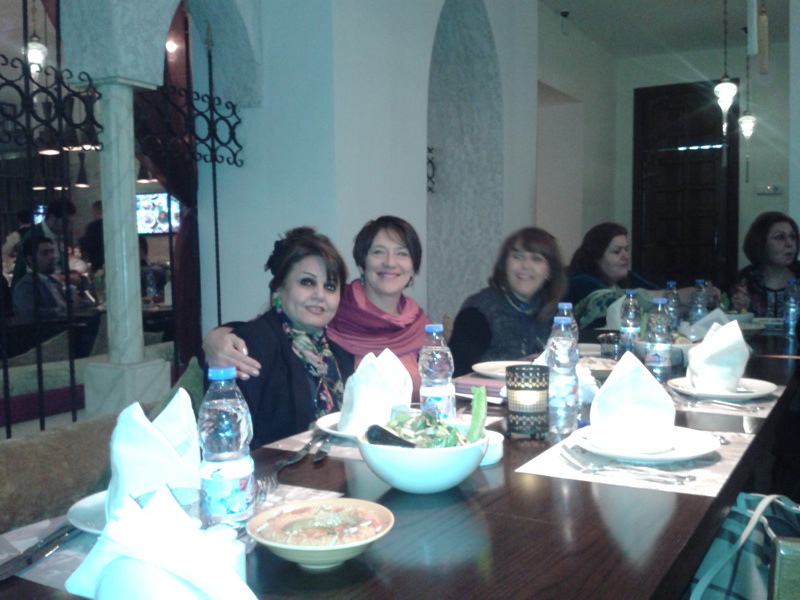 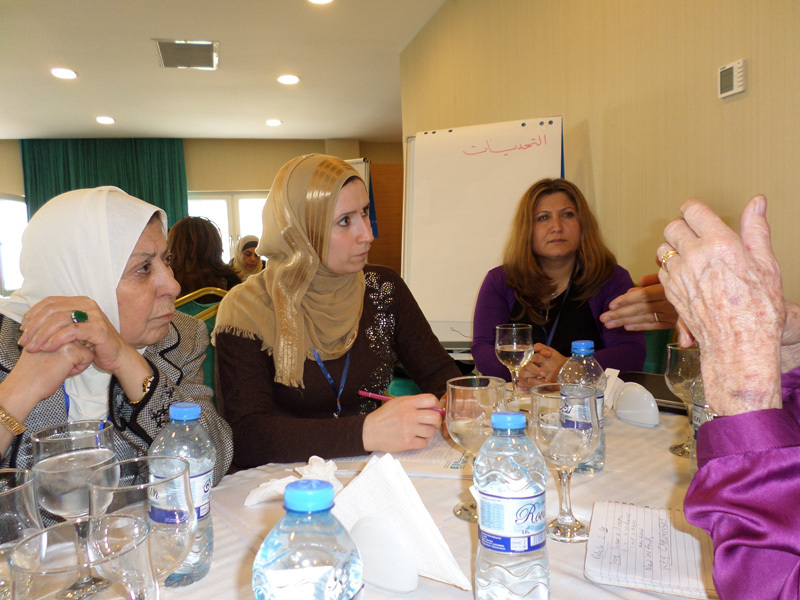 The conference sought to bring together activists, experts and academics to share experience and knowledge on the issue of female headed households and widows across the MENA region. 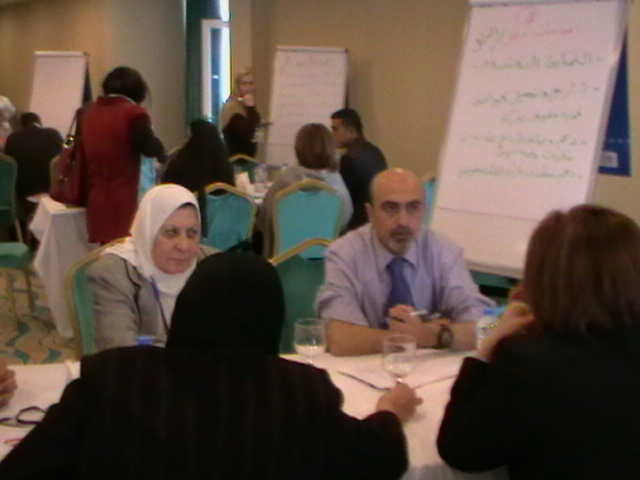 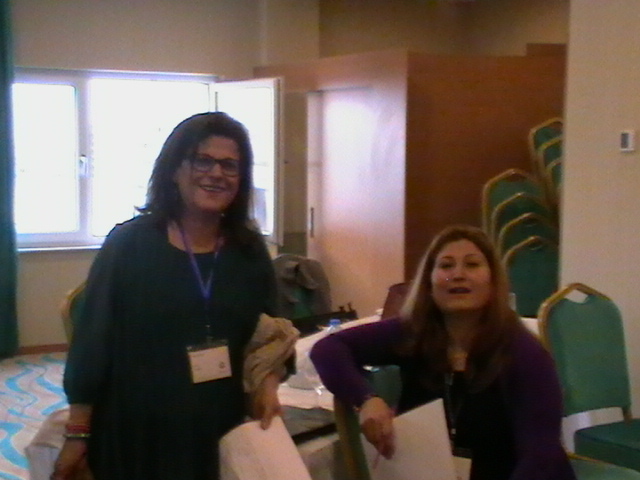 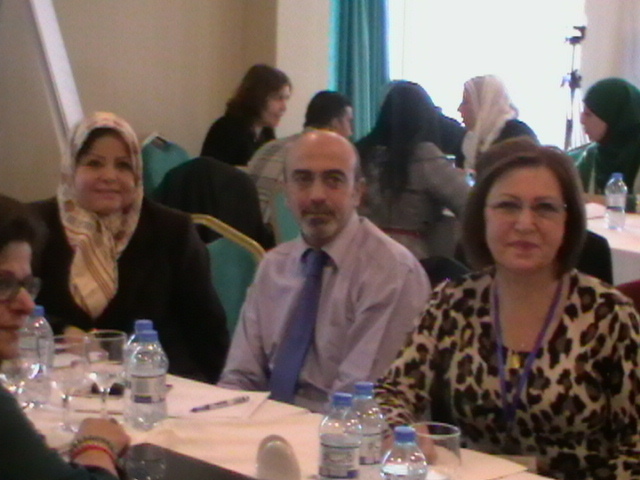 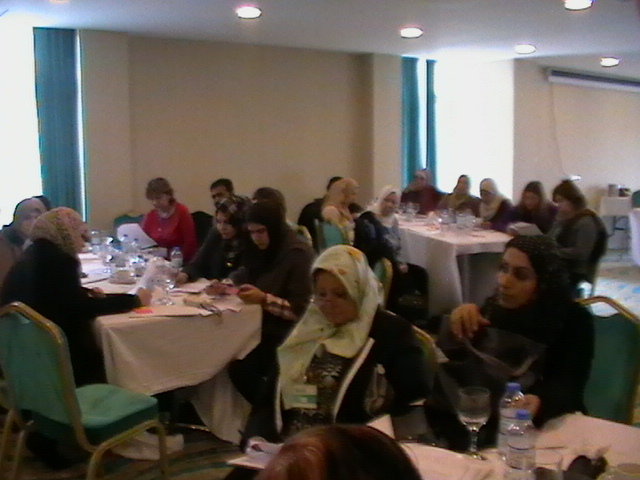 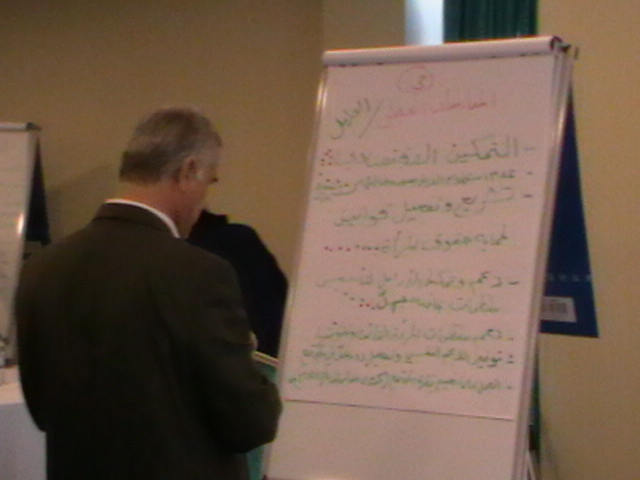 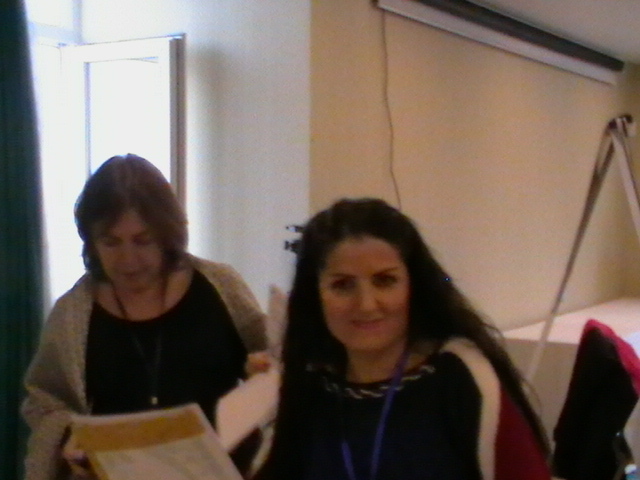 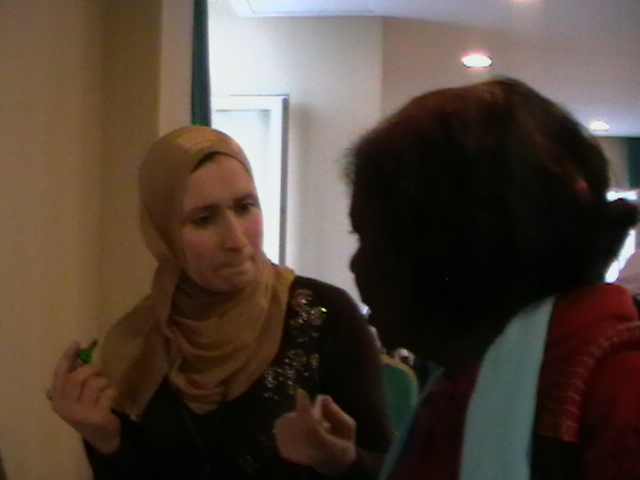 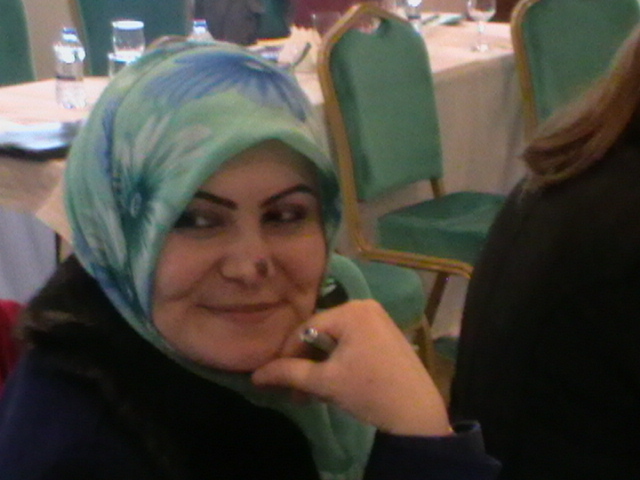 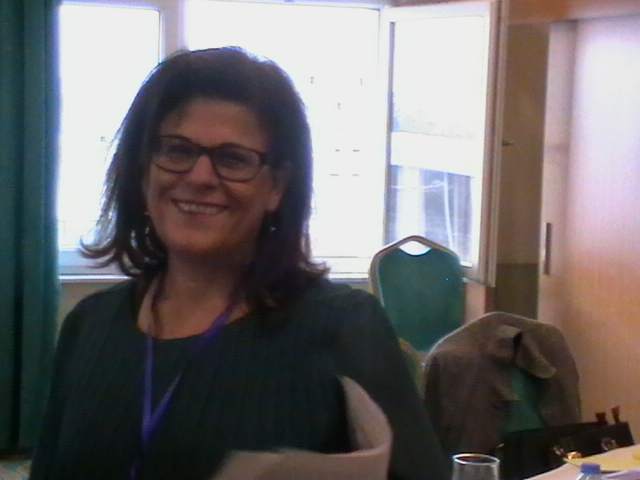 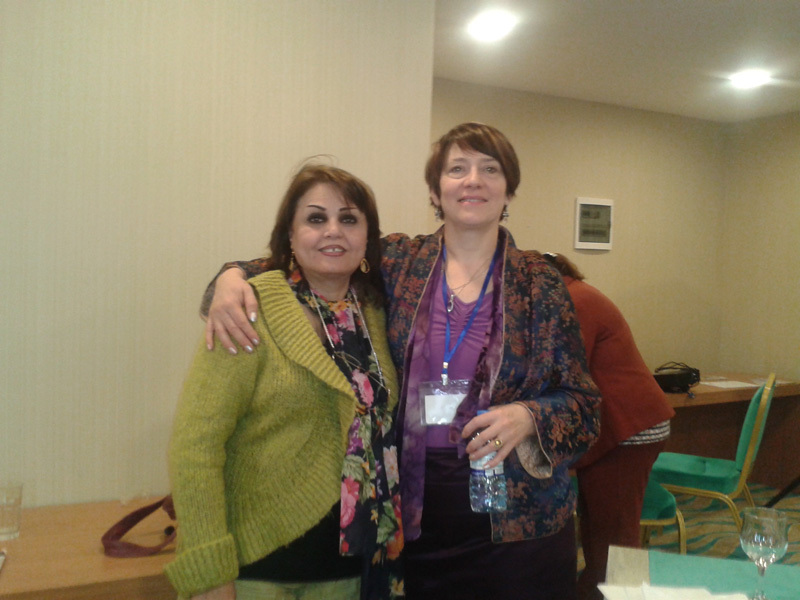 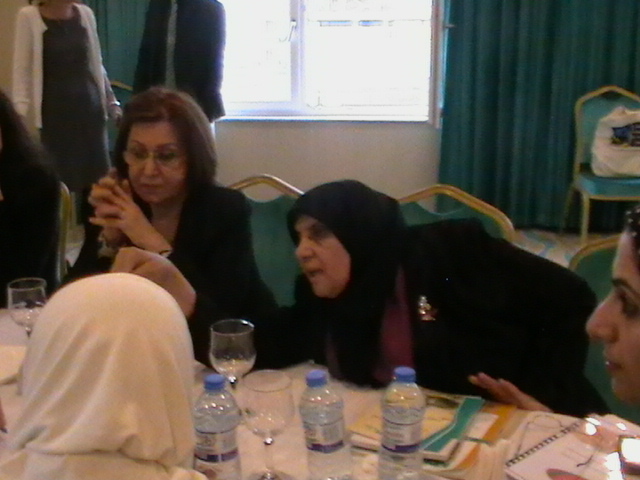 In addition, the conference aimed to be participatory thus raising capacity and learning of all participants. 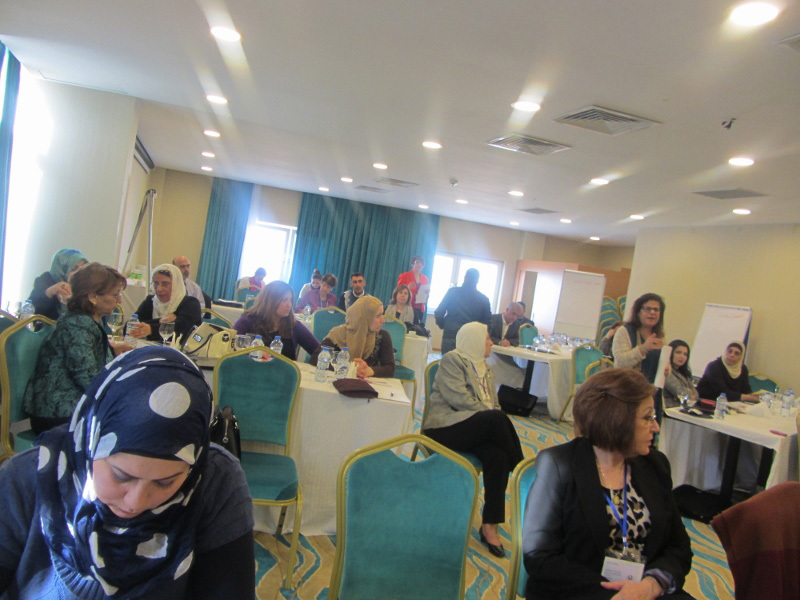 This too was accomplished with a variety of interactive session ably moderated and facilitated by a range of participants, enabling all participants to feel they played an important role in the conference. 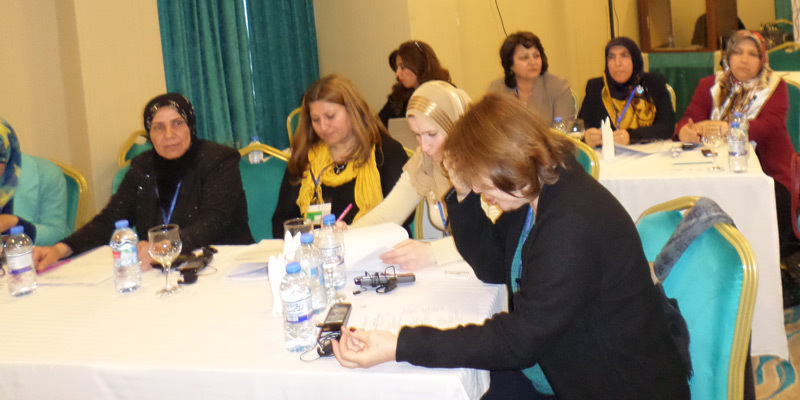 The conference produced a statement and action plans in the following areas: collection and use of data, raising awareness of the issue, setting up national networks, establishing a MENA regional umbrella entity. 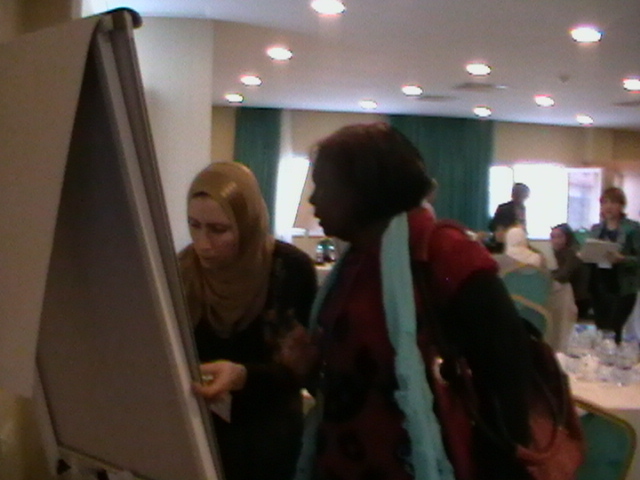 A website with social media platforms was envisaged and created just prior to the conference and will remain online, developing over the coming months as participants and others continue to use it as a live and developing platform to share ideas on this vital issue. 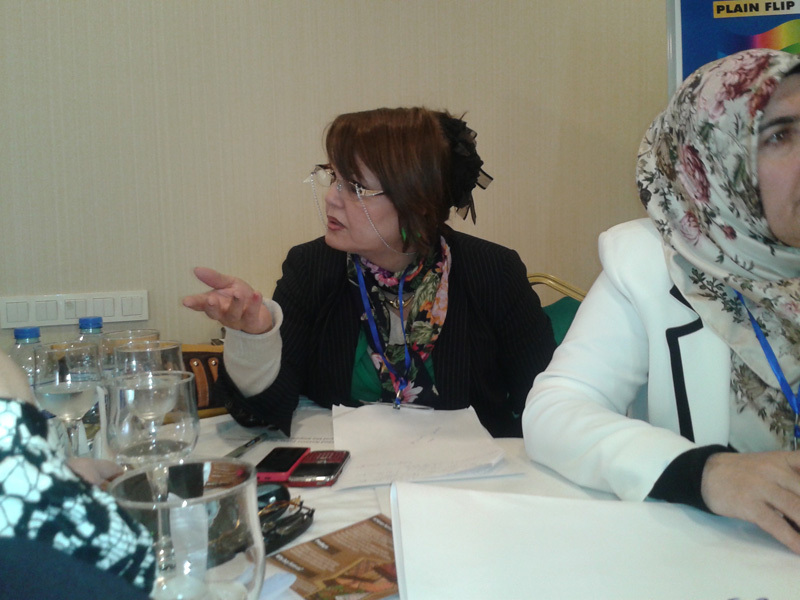 The conference called for the establishment of a regional umbrella organisation for the MENA region. 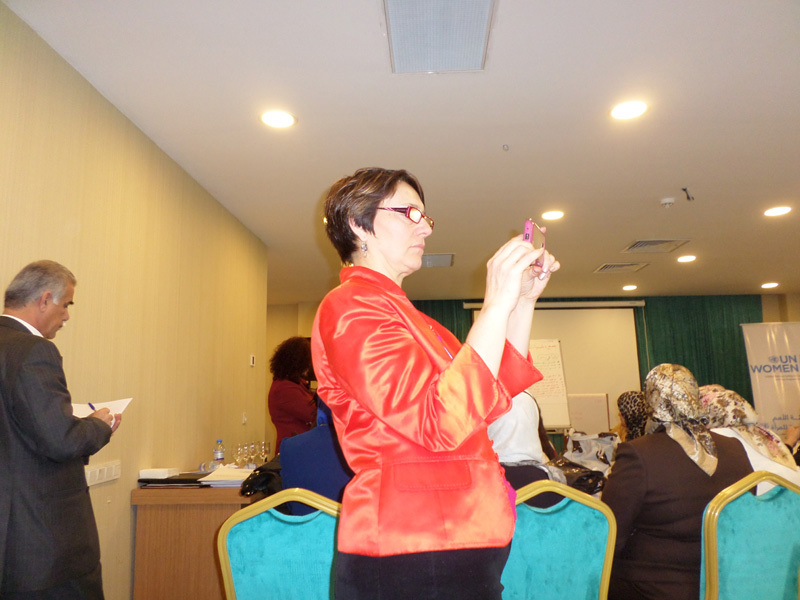 The positive networking and feeling of camaraderie created among the participants is continuing with an active interchange of ideas and photos. 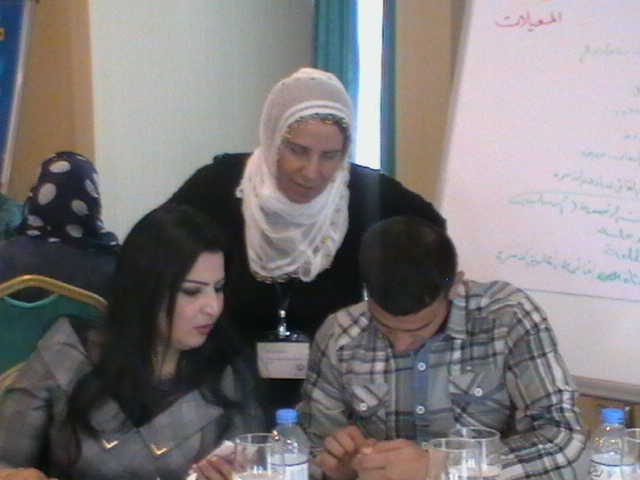 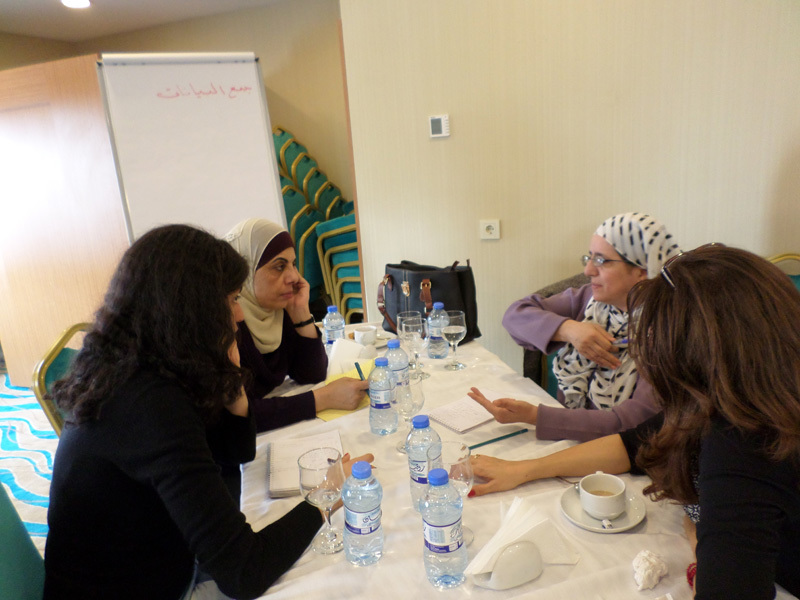 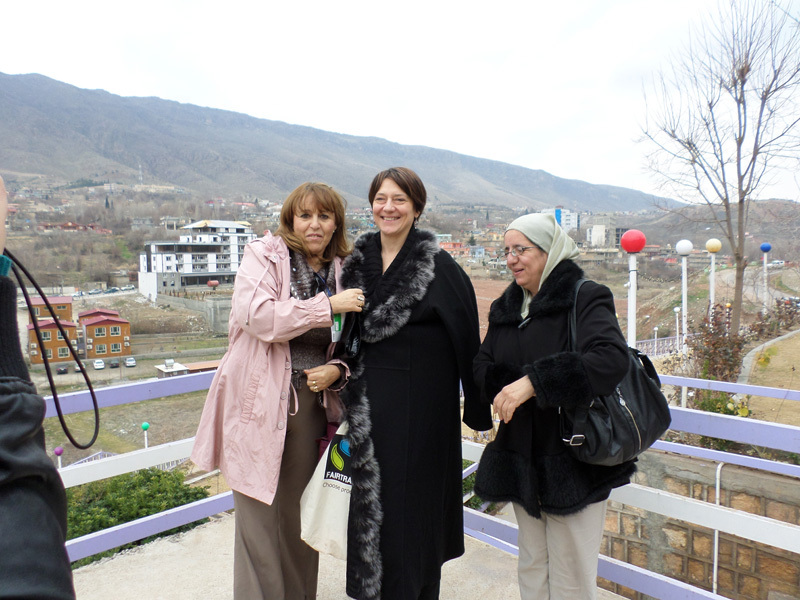 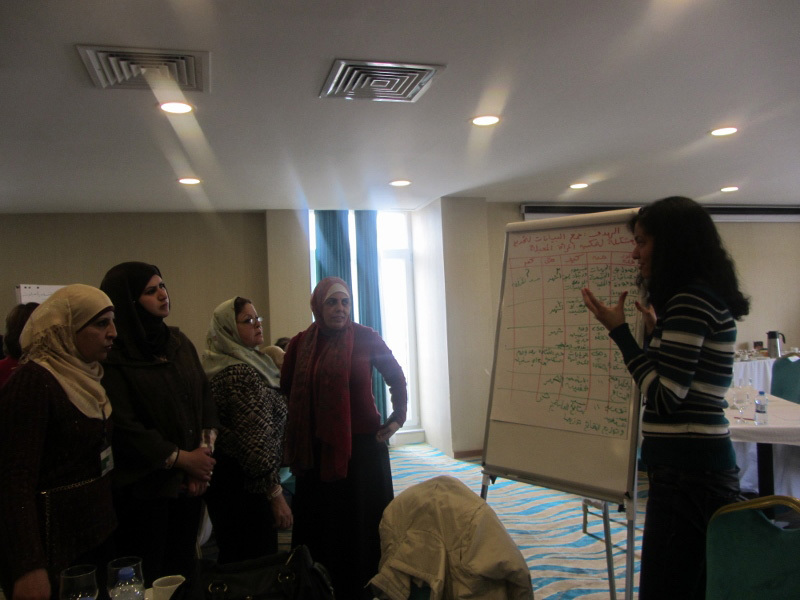 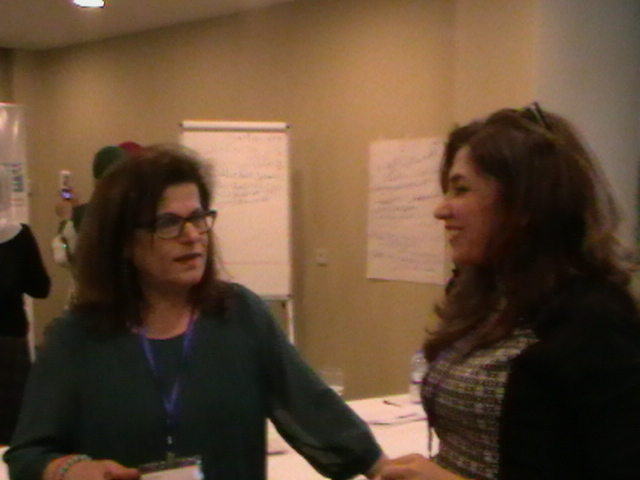 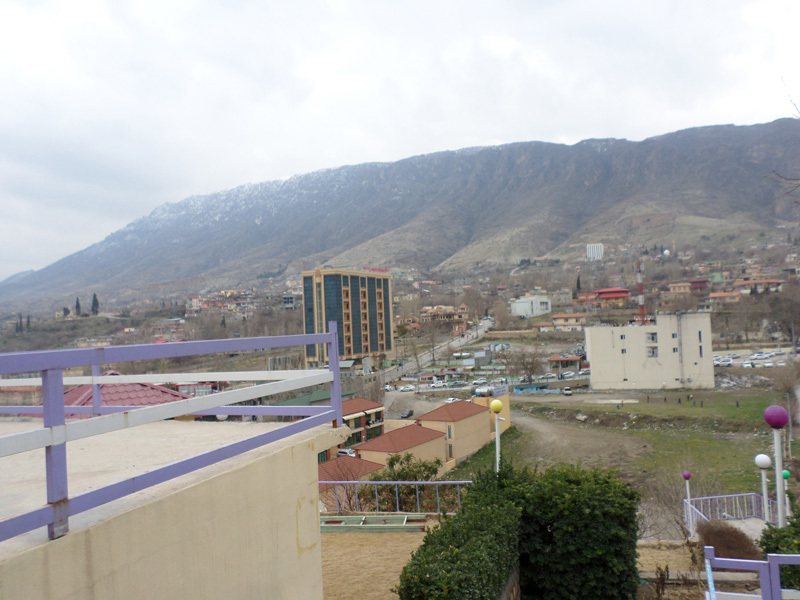 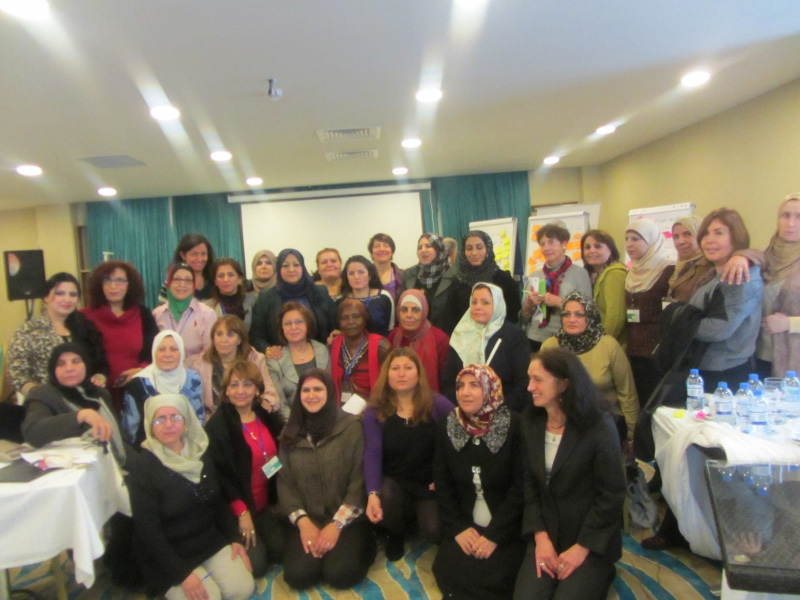 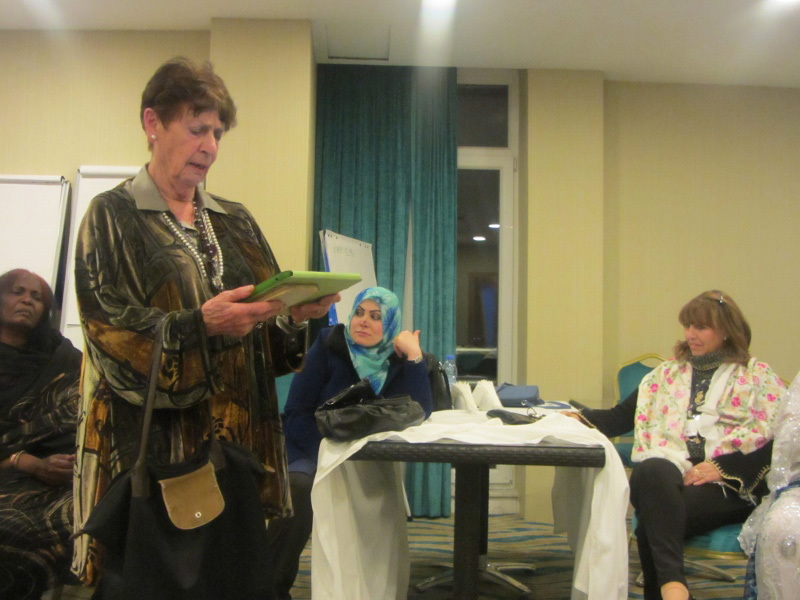 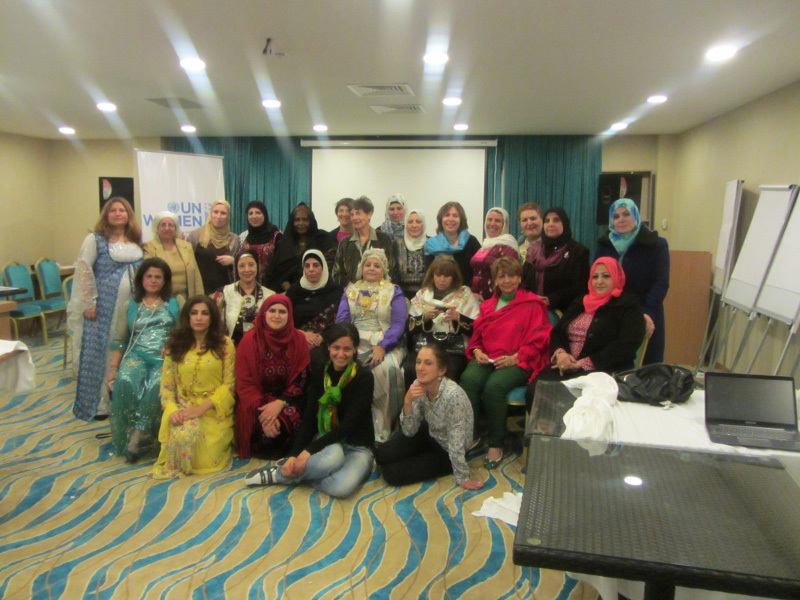 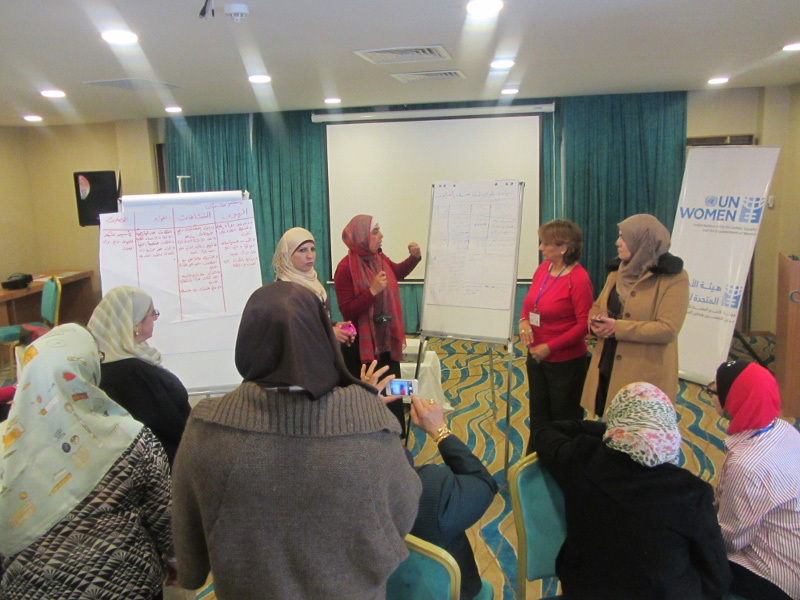 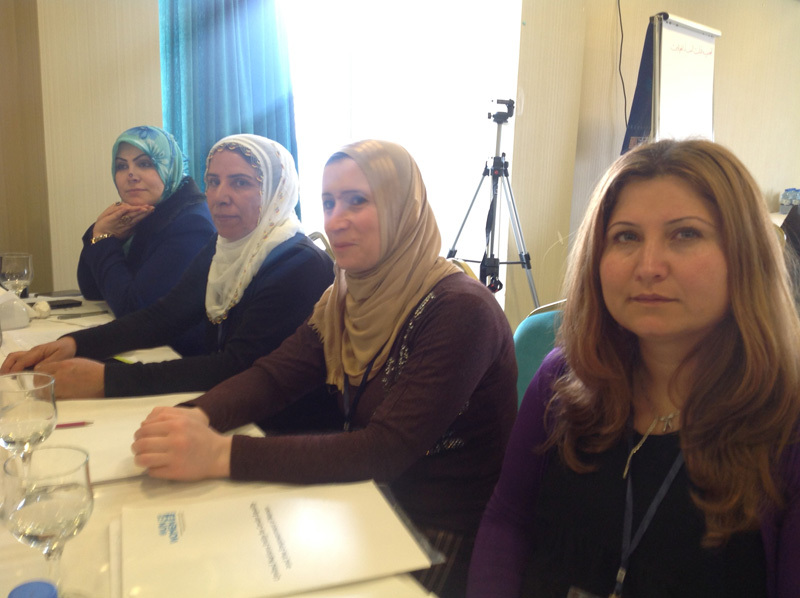 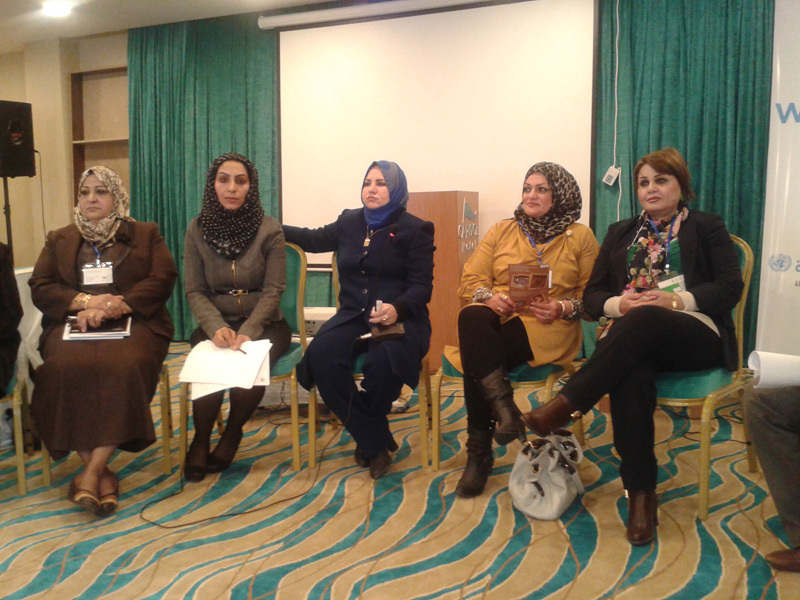 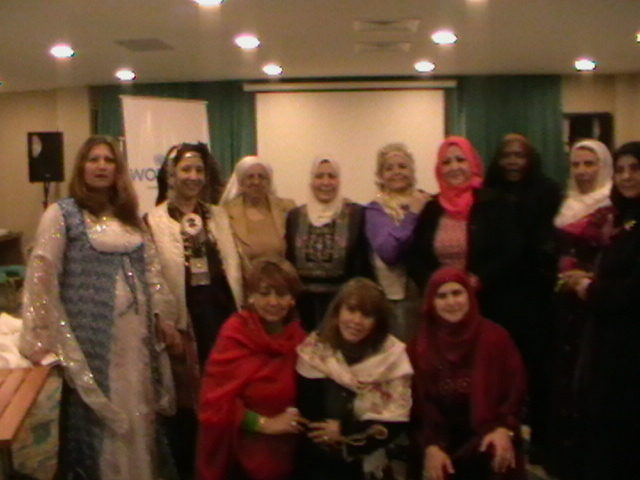 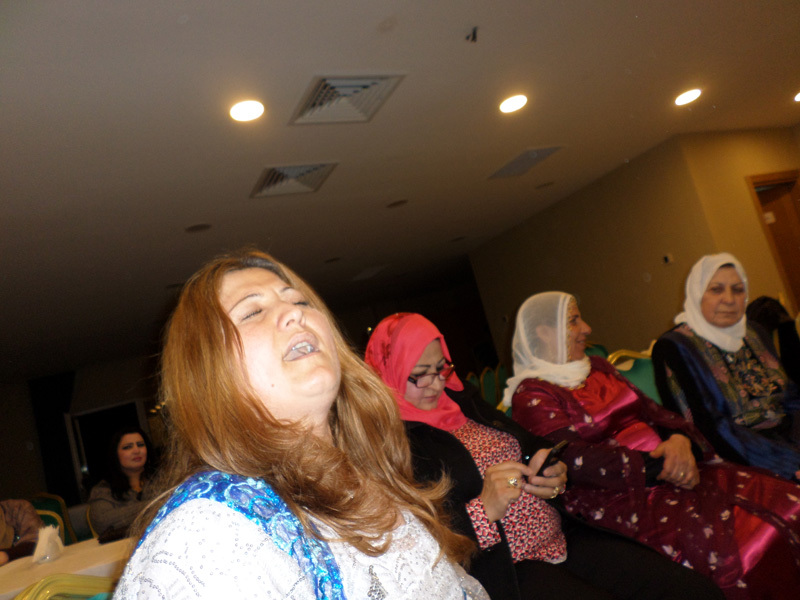 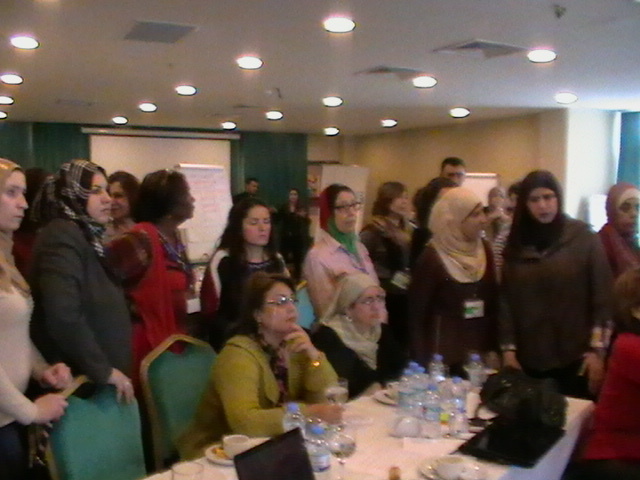 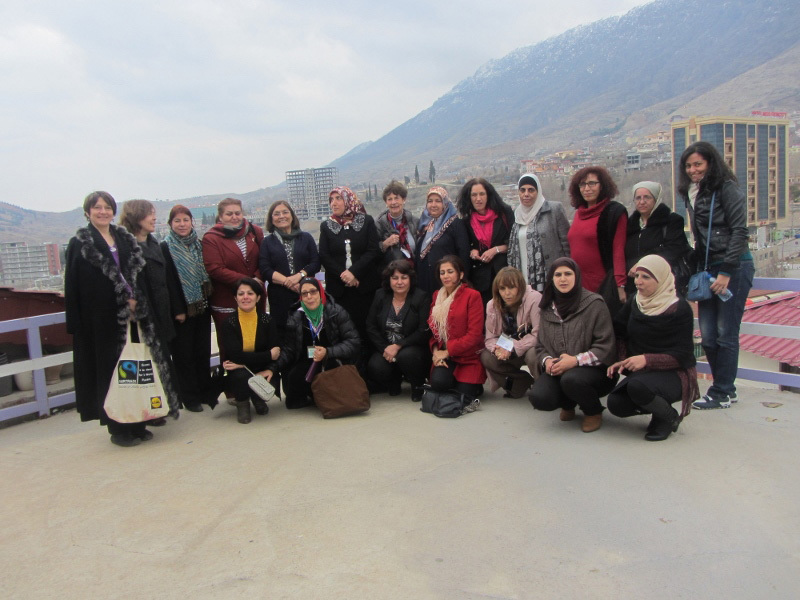 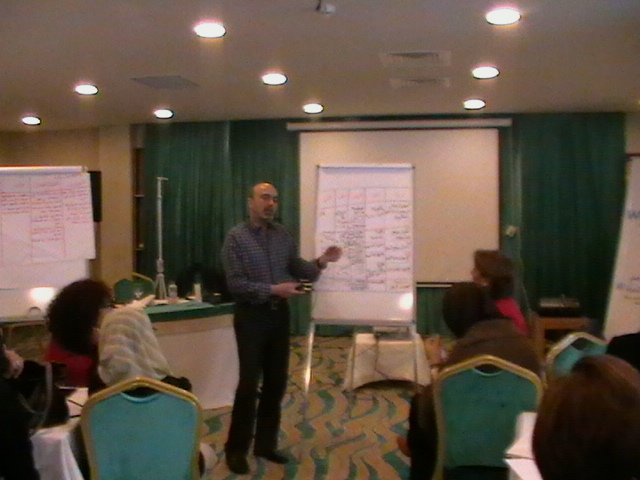 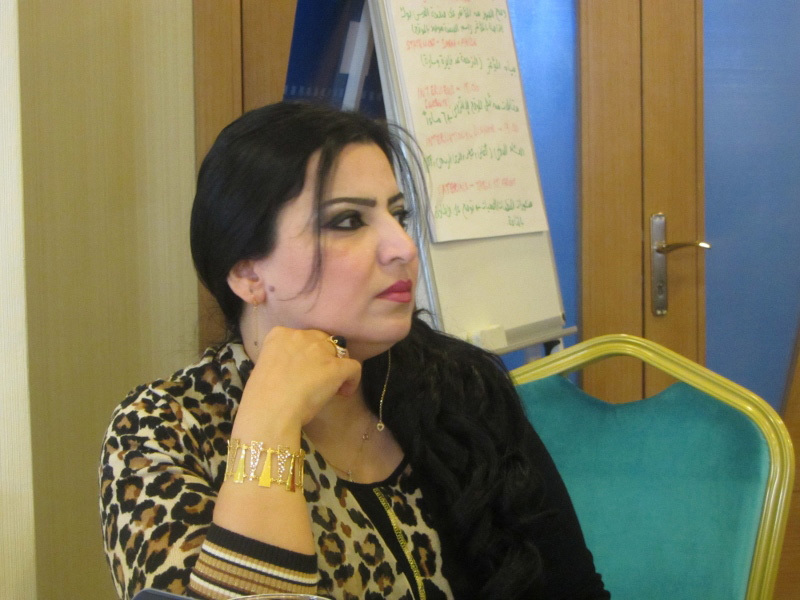 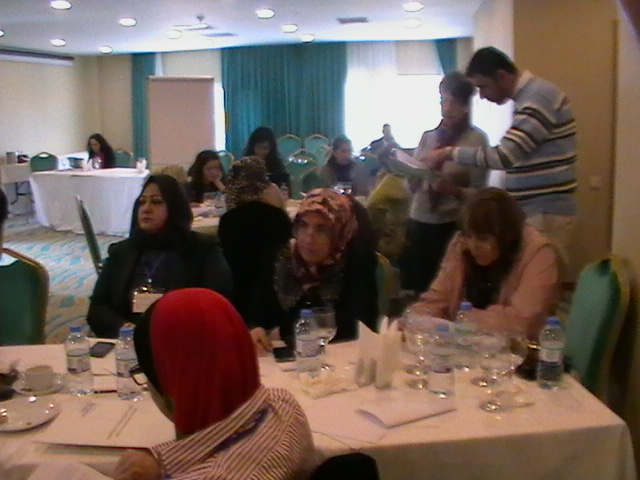 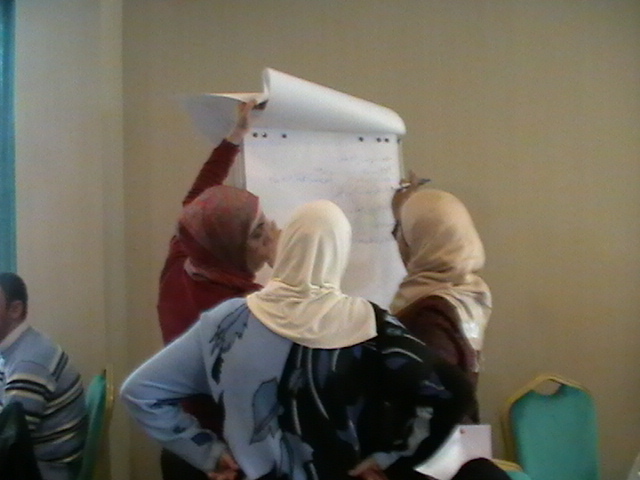 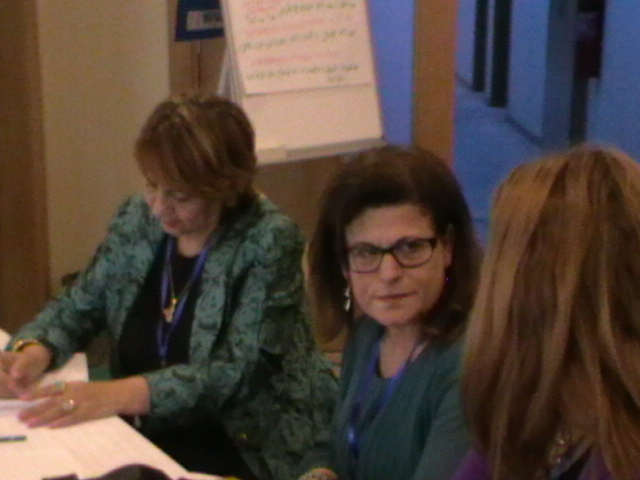 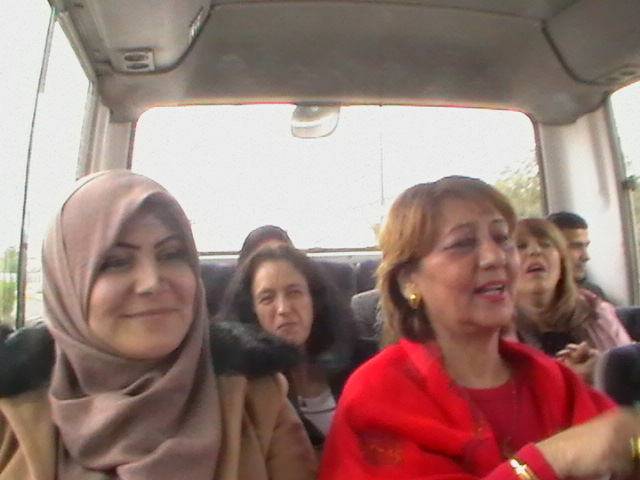 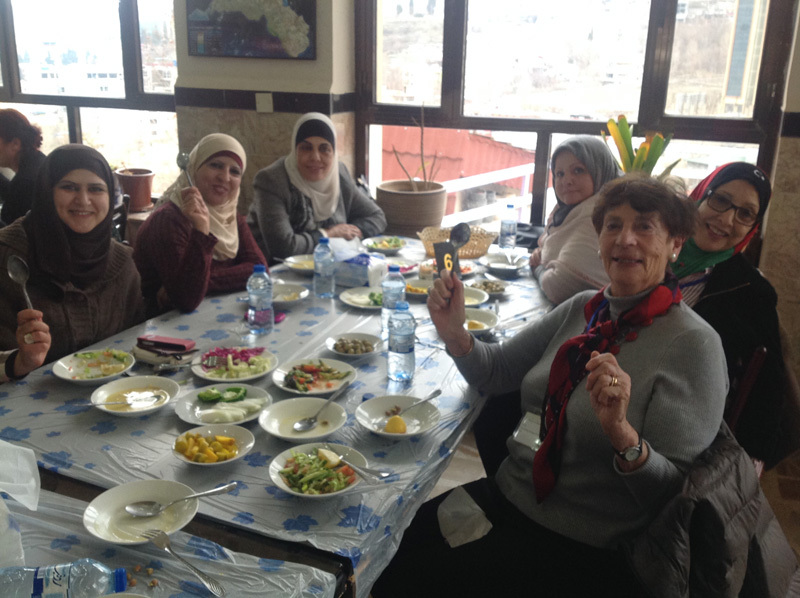 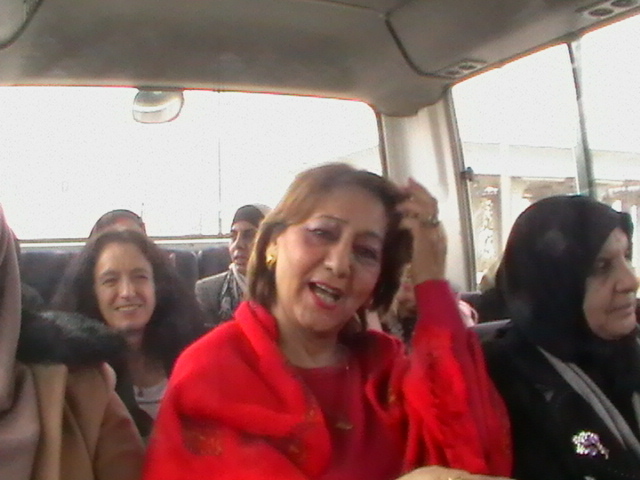 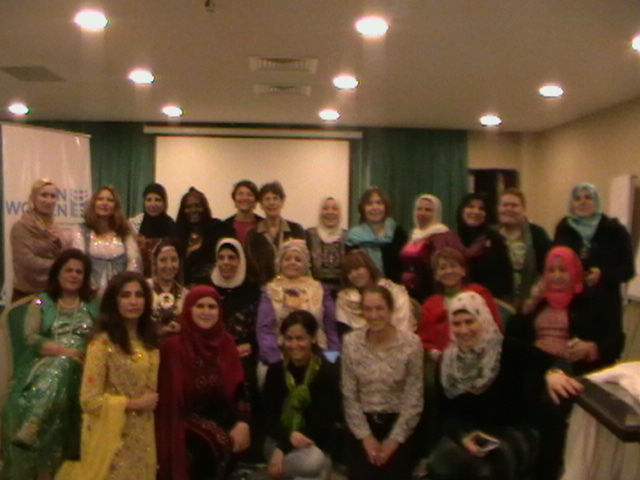 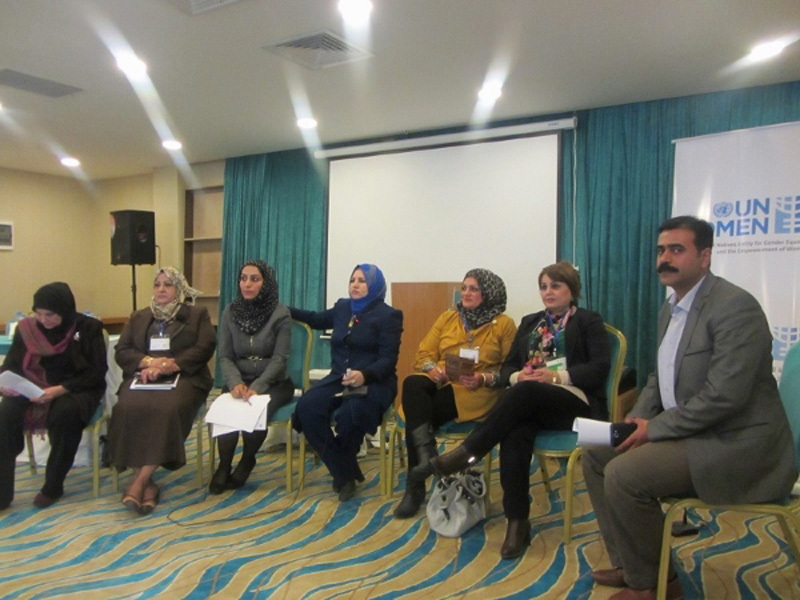 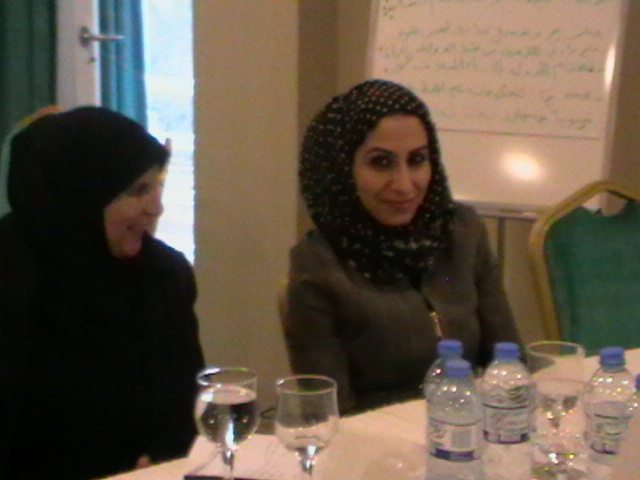 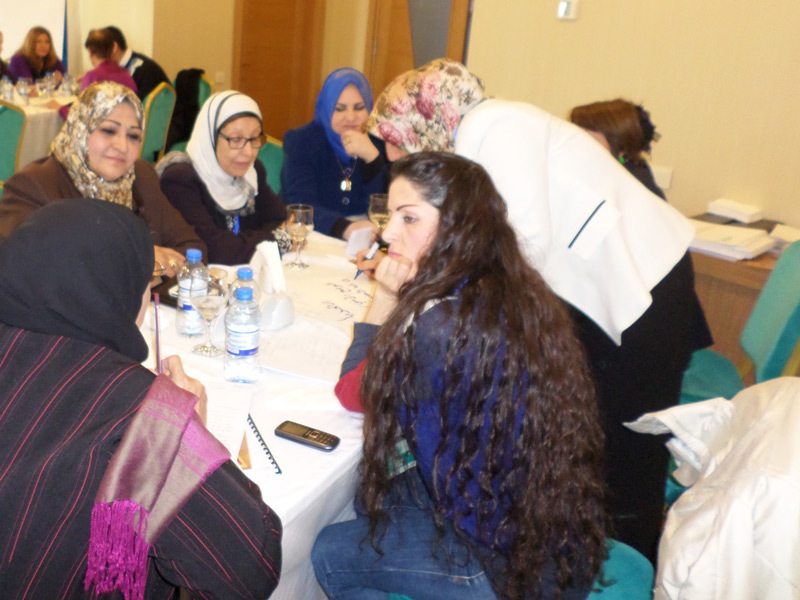 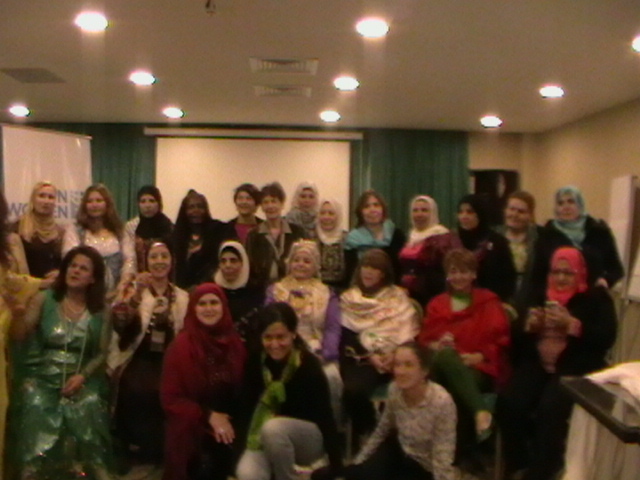 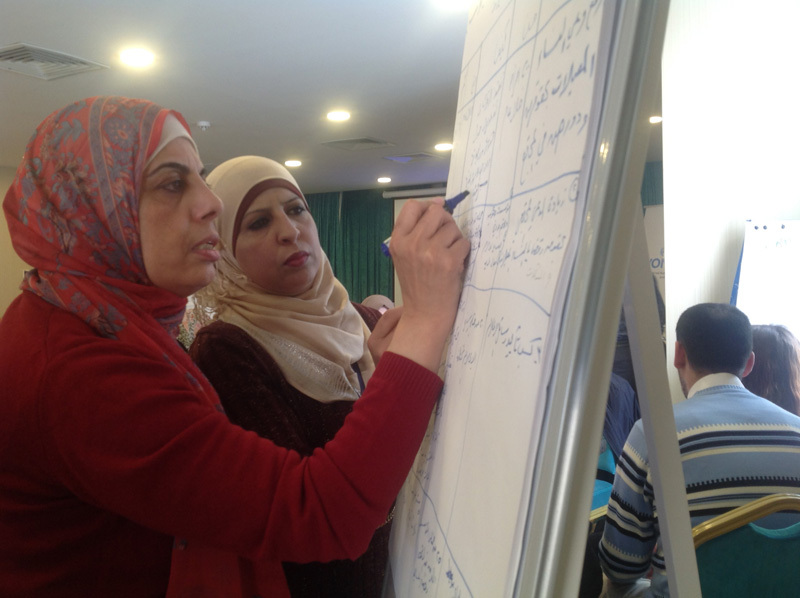 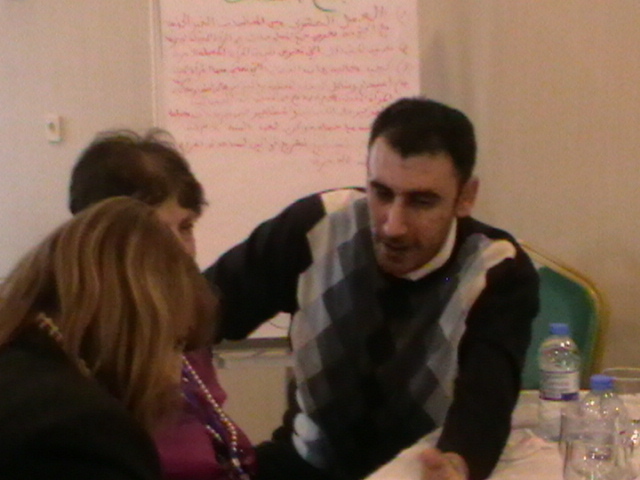 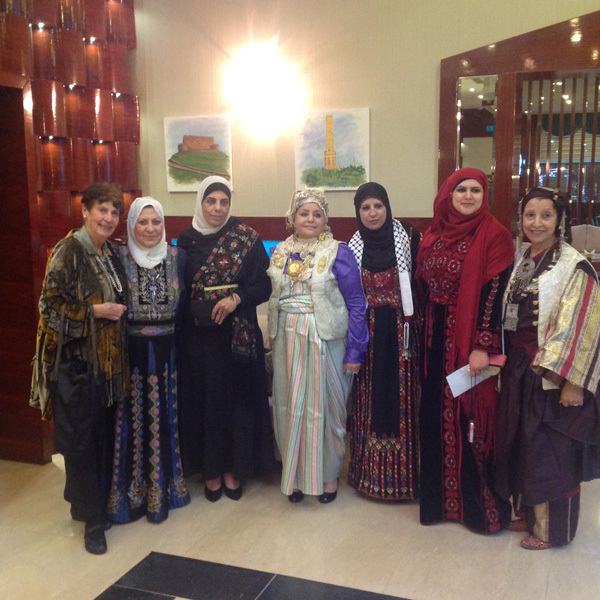 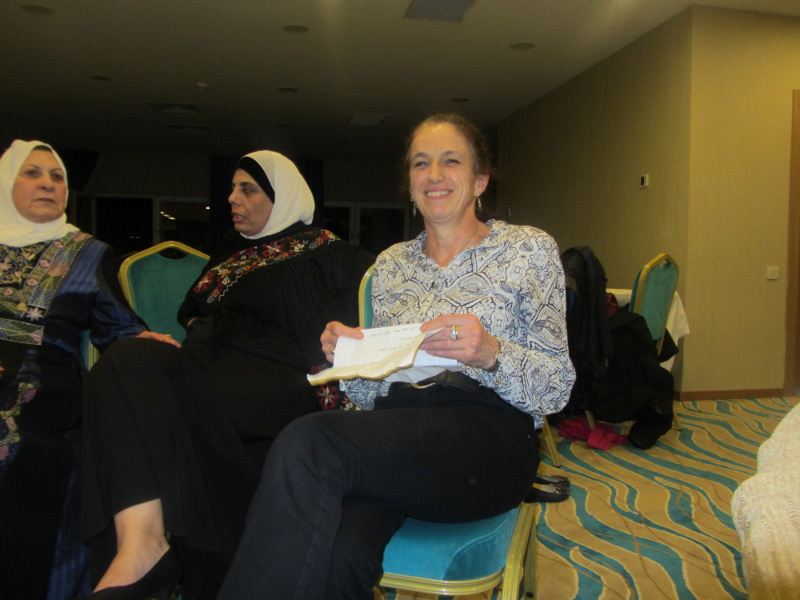 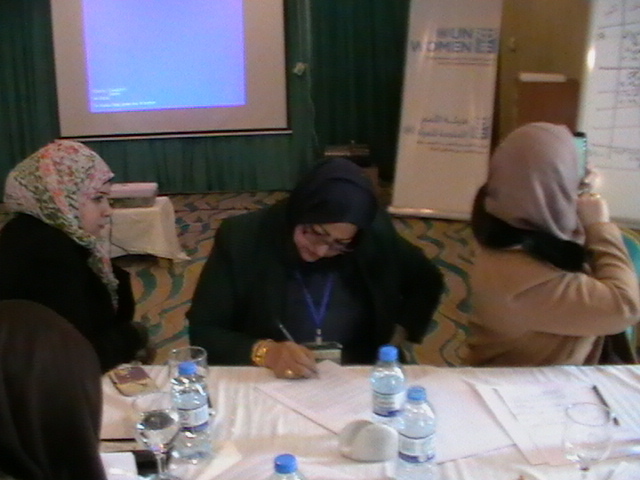 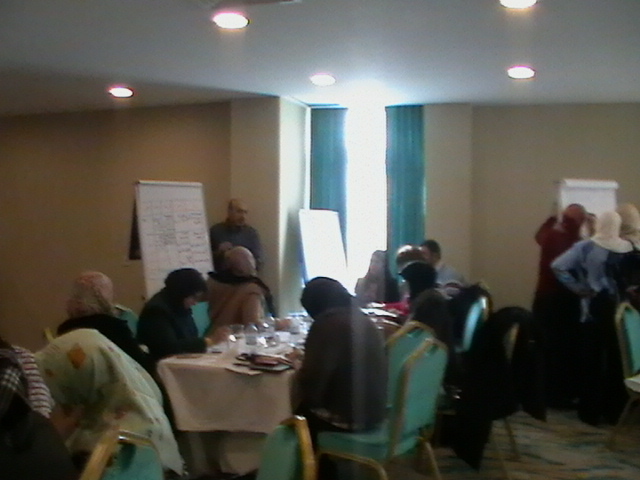 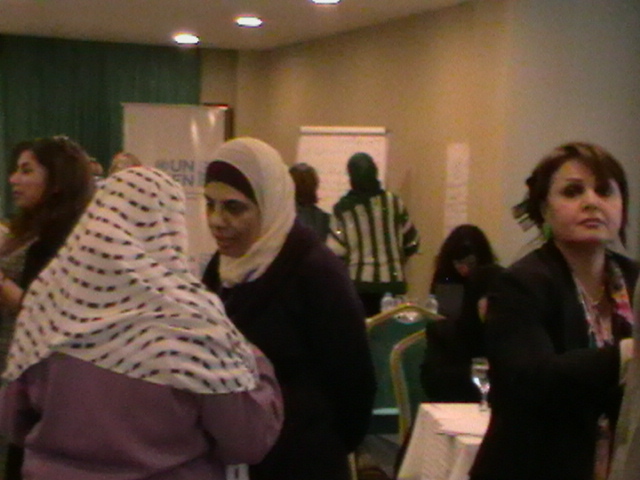 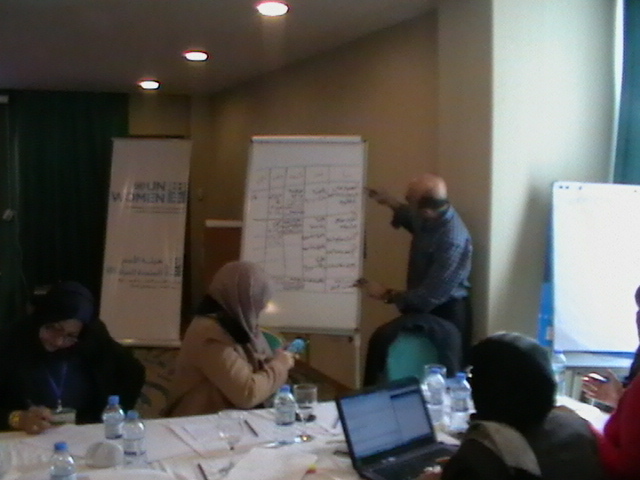 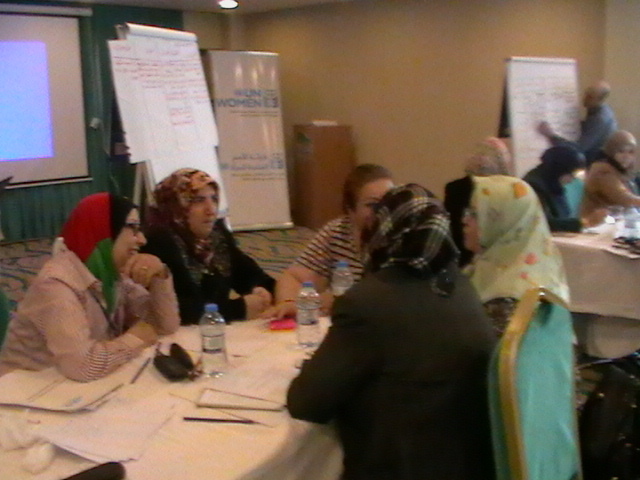 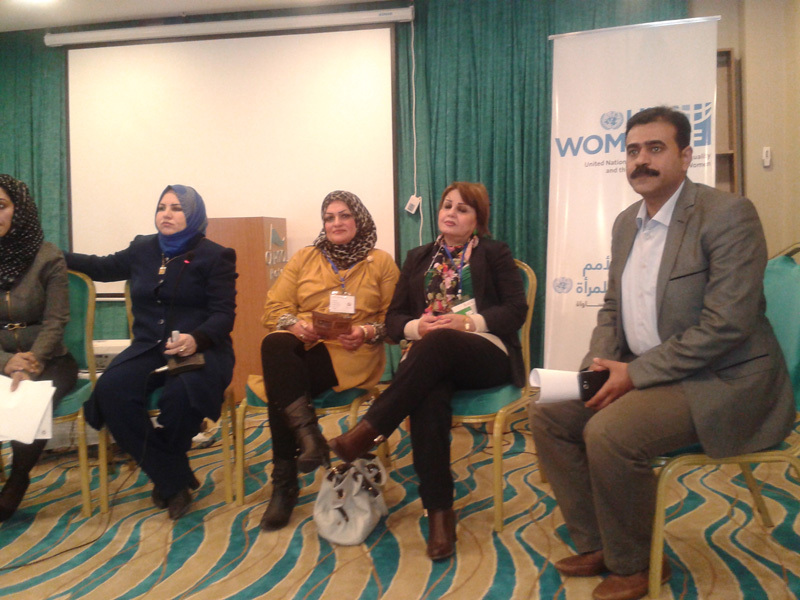 Participants stated that they felt empowered and motivated to continue their work back home. 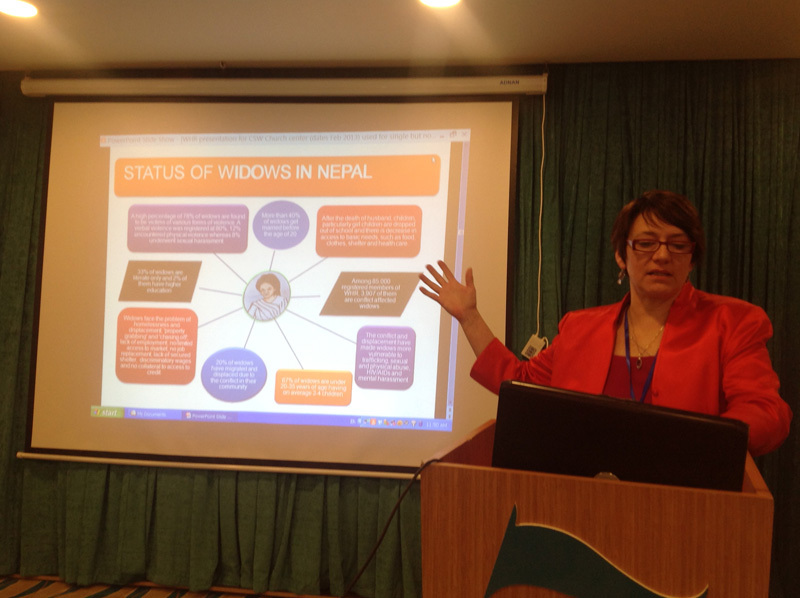 They say that they are taking important lessons back to their own organisations to implement in their own countries and thus create a better and more prosperous future for all widows and female headed households.